[The participants] told me then enjoyed the course very much and felt they got a great deal out of it. They are very keen to put the techniques they learned into practice! They were impressed with the content of the course, particularly the fact that they got to work individually using the mannequins you provided. It was good for them to see what results could be achieved. I would happily recommend your course for funeral service professionals wishing to hone their skills in cosmetology and hairdressing. As a Student Embalmer I wanted to learn more about Mortuary Cosmetology. Mark's knowledge and expertise are second to none. I learned a great deal about Mortuary Cosmetology and how to enhance the presentation of deceased for Chapel. Mark's teaching methods are relaxed and informal, I have learned a great deal from Mark and I am now able to take away the skills and knowledge I have gained from the course to ensure the deceased in my care are presented to their loved ones in the most comforting way possible. 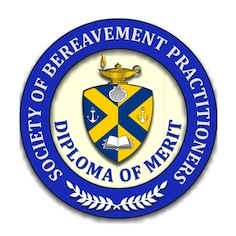 I would have no hesitation in recommending one of Mark's courses to anybody in the funeral profession, so much so I look forward to taking further courses in the near future. I attended a weekend training course and was extremely pleased with the result. Mark's teaching is top notch and I couldn't have wished for a more enthusiastic tutor. Mark has a wealth of knowledge and experience which comes through easily in his relaxed teaching style. I learned a huge amount and at the end of the weekend I had gained new skills which I can take away and utilise. I hope to be back in the near future for further training and I would be delighted to recommend Mark's courses to anyone in the funeral industry.